Time... the past is always tense, the future can be perfect. Good times become good memories and bad times become good lessons. You never lose, you learn. On the wrist is one of the classic collections from Bering, a Scandinavian watch inspired by arctic. We were at Bering and Misaki 2016 new collection preview recently. Bering was founded by the three Danish businessmen, designers and adventurers Lars Gram-Skjønnemann, Michael Witt Johansen and René Kaerskov in 2009 based in Aabenraa, Denmark. The brand is named after the Danish sailor and adventurer Vitus Bering, who in 1728 was the first European to cross the strait between Asia and America in the Arctic Ocean. The minimalistic Danish design meets maximum material strength. I love the simplicity and minimalist design of this Bering classic collection watch that comes with calfskin strap. The clear and sharp color contract on its dial is eye-catching. The watch is suitable for female and male. It’s its classic and the same time exudes the sporty aura, perfect. 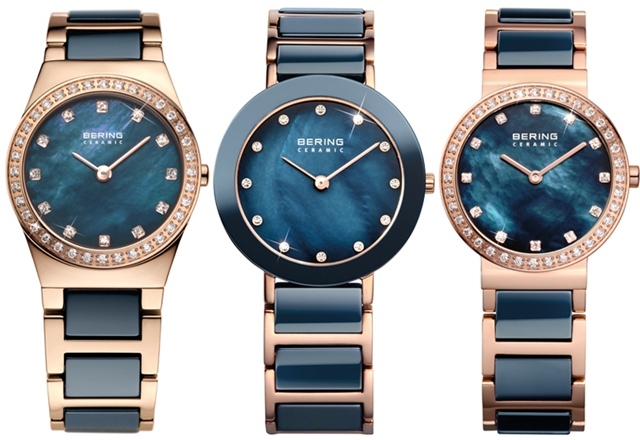 Bering new watch designs, Ocean Blue Collection combines blue ceramic of Milanese straps with silver stainless steel for the first time, and fit into the blu/gold or blue/rose gold collection. It’s like the eternal ice, cool Arctic blue and glittering silver represents Acrtic beauty. Plus the Swarovski elements breathe an incomparable luminescence into the cool. High quality materials such as High-Tech Ceramic and sapphire crystal with their extreme scratch resistance and strength, ensure that time leaves no trace. 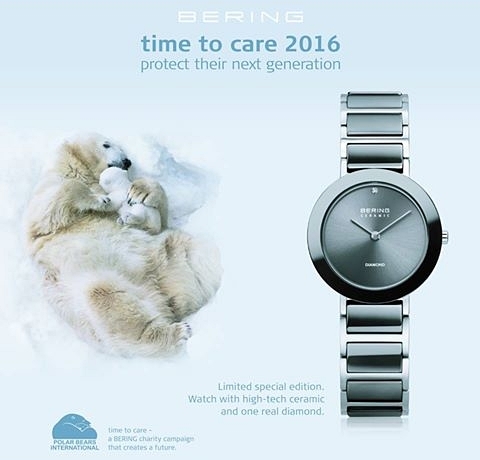 Bering Time To Care 2016, the Scandinavian watch brand is supporting projects to protect the endangered species. The Bering charity watch is now available at all Bering’s Malaysia outlets. For each watch sold the brand is donating USD15 to the organization Polar Bears International. Besides, Bering watches we also had a chance to preview the latest Misaki Luxury Jewellery collection. Misaki is founded in 1987 showcasing the enigmatic pearl as their signature material such as cultured pearls and hand-made glass bead pearls. Located in the Principality of Monaco, Misaki has successfully combined the beauty and perfection symbolized by the pearl with original and contemporary design. Timelessly beautiful and long-lasting, like the eternal ice, Bering blends minimalistic Danish design and optimal material strength in a unique way. High Tech Ceramic with Sapphire Crystal Glass, Swarovski Crystal and comes with 3 years warranty. Mall, 46150 Petaling Jaya, Selangor, Malaysia.